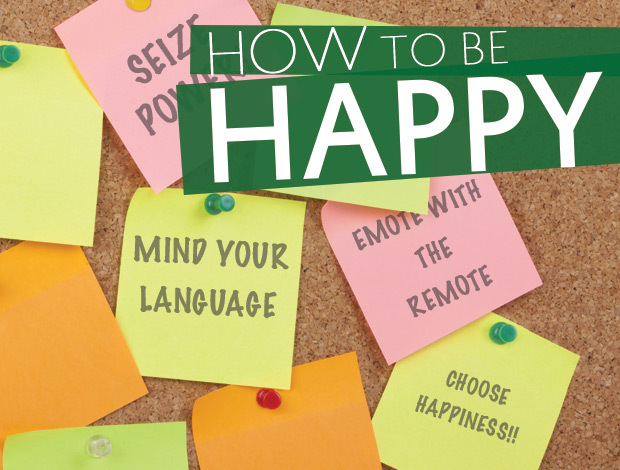 You’re in luck, brainiacs, because you can literally think yourself happy. 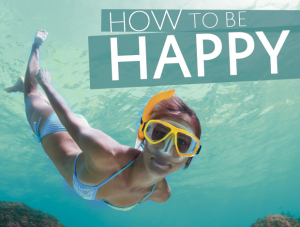 Get ready to train your brain for joy. You can cultivate a sunnier outlook, say researchers at Michigan State University. In their study, people who made an effort to conjure a happy thought—a great vacation or epic performance review—and then smiled about it, felt genuinely happy (and became more productive, too). Cue cheerful thoughts throughout your day by posting in key places the photos and mementos that get you grinning. Turns out that being top dog trumps earning top dollar when it comes to happiness, say UK-based psychologists, namely because holding a high rank makes people feel respected and recognized for their achievements. Even if there’s no promotion in your near future, you can feel powerful by getting stuff done for yourself and others. It makes you feel capable, accomplished and valuable—all of which hike your happiness. Changing your words can change your mindset, according to Harvard University psychologist Ellen Langer, Ph.d. For example, you can chide yourself for your “impulsiveness” or value your “spontaneity” instead.” Being a TV-surfing couch potato after a setback could be called “moping,” or it could be a constructive behavior—“coping.” Put your mind to work for your mood by opting for terms that inspire optimism. Movies that trigger strong emotions—both happy and sad—can boost your overall joy. Multiple studies show that laughing turns on endorphins, those brain chemicals that deliver a feel-good rush. On the flipside, tearjerkers can also make you happy, say Ohio State researchers. Tragic stories often focus on themes of eternal love, which prompt you to think about your loved ones and count your blessings. Cue up the DVR!